I haven’t heard about her lately so I assumed she retired. Be that as it may, I just found out a couple of neat things about her. First, The Womb has a couple of songs about her (remastered version here). They’re free to download, too, though I chipped in on Paypal just because. Second, Terrifica used to have a website of which no full record exists. She stopped advertising her superhero career on it after a while. She’s also an artist, which explains why her costume is nicer than for a lot of other Real-Life Superheroes. You can actually find out the school where she got her Bachelor of Fine Arts from simple googling if you so desire. The description provided to the USPTO for TERRIFICA is educational and entertainment services performed by a superhero, namely conducting lectures, seminars, and classes regarding social responsibility to public drinking and victims of intoxication. Also, a pharmaceutical company abandoned a trademark for the name “Terrifica” which was apparently a thingy for “combined nutritional additive and sweeteners for use in food and beverages for human consumption”. They filed in 2004 and the application is marked as ABANDONED – NO STATEMENT OF USE FILED as of 2006. The little guy wins against the corporation! 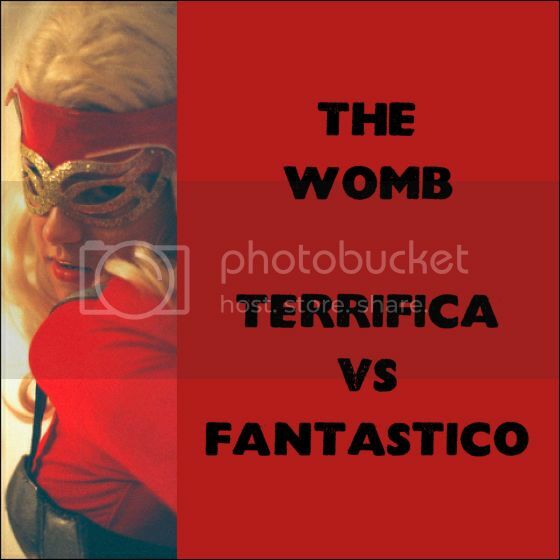 Terrifica, fighting injustice by her mere existence. However, Terrifica is menaced by that most insidious supervillain of all: legal bureaucracy. Apparently trademarks need to be renewed between the ninth and tenth year of registration or they will be considered abandoned, meaning it has be done sometime in 2013. I wonder, will our heroine renew her trademark? Evidently Terrifica (or rather, Sarah) has moved on from this part of her life, so it’s entirely possible she’ll let the trademark lapse. But stay tuned, dear readers, because I will definitely follow this story. Next PostNext Next year in Jerusalem . . .